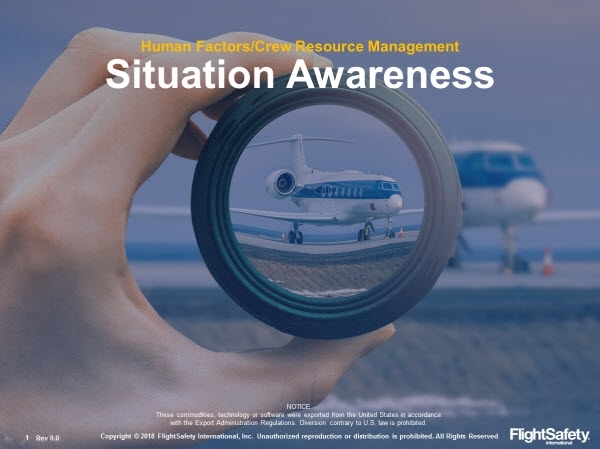 FlightSafety’s Human Factors / CRM Situation Awareness course is based on the training elements listed in Transport Canada AC 700-042, FAA AC 120-51E, and EASA Annex III (GM6 ORO.FC.115). Topics covered include the nature of situation awareness, its creation, maintenance and recovery, and topics related to situation awareness. Describe how situation awareness is created, maintained and recovered. Explain how workload, fatigue and stress affect situation awareness. 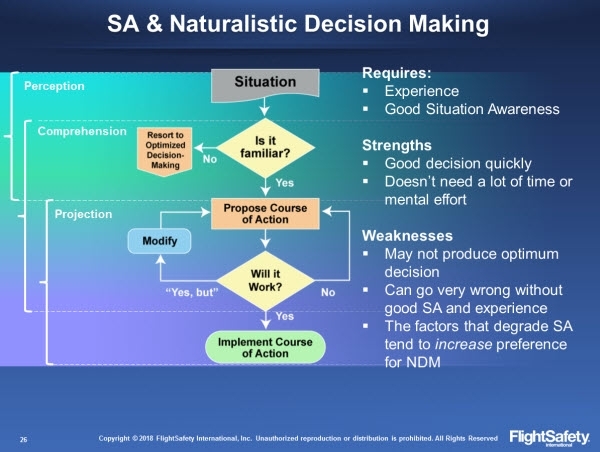 Describe how situation awareness affects decision-making. Describe how situation awareness relates to threat and error management. 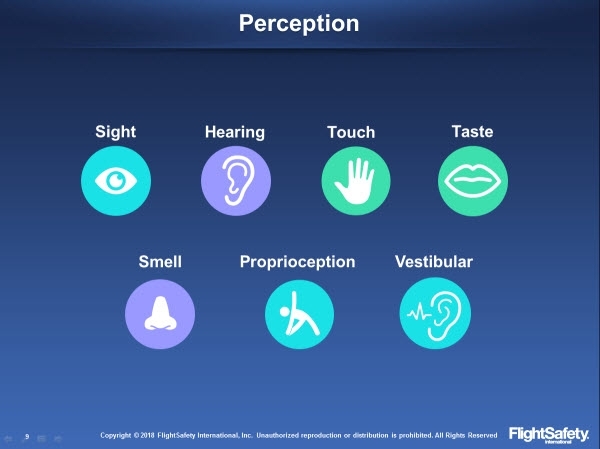 Discuss the effect of cognitive bias on situation awareness. 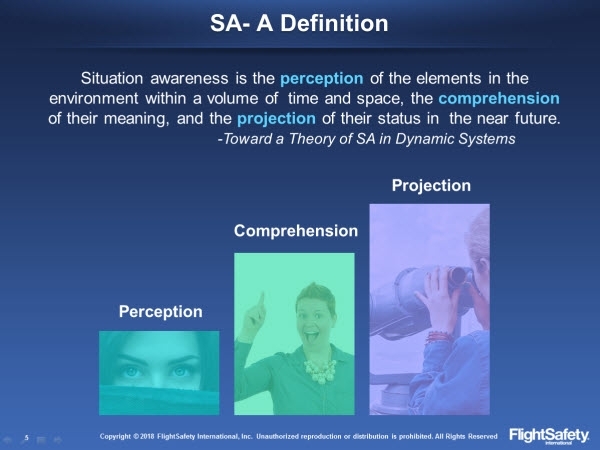 Explain the importance of situation awareness to flight path management. Describe the balance of safety and its impact on safety of flight.